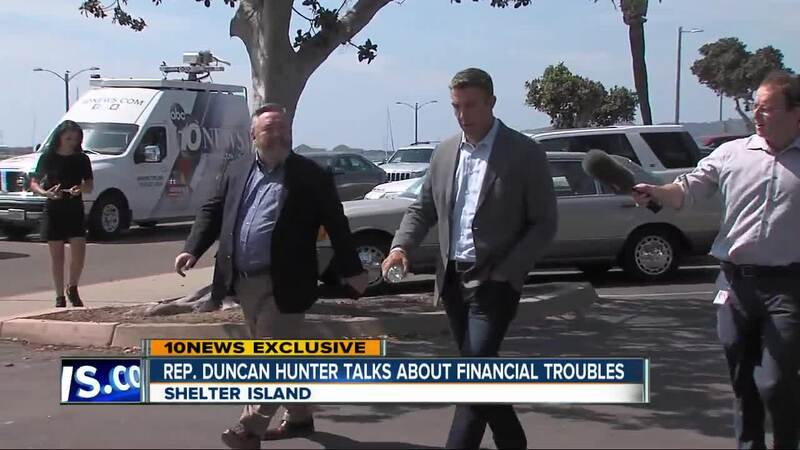 Congressman Duncan Hunter on indictment: "Leave my wife out of it"
San Diego County Congressman Duncan Hunter spoke Tuesday morning to a group of women who support him despite accusations of misusing campaign funds. 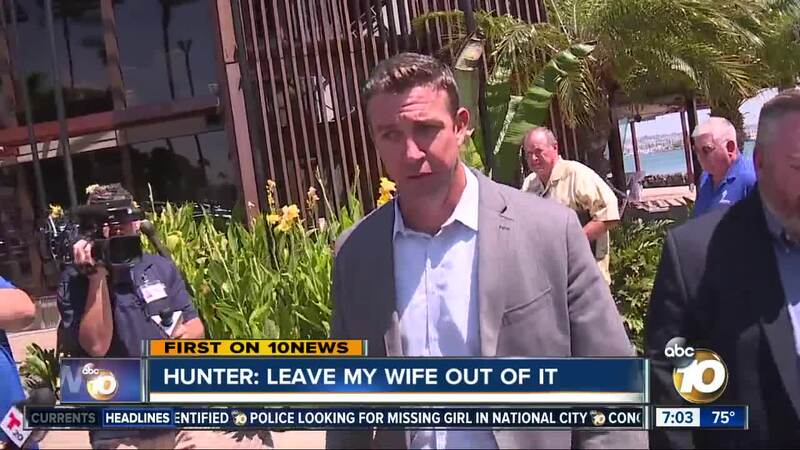 SAN DIEGO (KGTV) - San Diego County Congressman Duncan Hunter spoke Tuesday morning to a group of women who support him despite accusations that he and his wife misused campaign funds. “Women Volunteers in Politics” gathered for the speech at the Bali Hai restaurant on Shelter Island. The event was booked months before Rep. Hunter’s indictment. Hunter spoke to 10News before the event. 10News heard from supporters who said they would stand by his side because he is innocent until proven guilty. “That's what's unfair about this, it's almost like they are guilty before he's even had a chance to go to trial and defend himself, and that's what's unfair this is when we're back in the caveman days,” said Margie Morrison. Despite the indictment, a 10News Union-Tribune poll shows 47 percent of the 50th District constituents would still vote for Hunter over his opponent, Ammar Campa-Najjar. 10News asked Hunter whether he would have a good chance of holding his congressional seat during the trial. “I think so, but it’ll be up to the people. They’ve had almost a decade of my service. I’m the most prolific legislator in the county,” Hunter said. Hunter was ordered to turn over his weapons during last week’s court appearance but did not answer 10News reporter Jon Horn when he questioned him about it.